HRG specializes in the management of residential properties located in Sea Pines Resort. HRG’s management services include vacation rentals, long term rentals and absentee homeowner management. 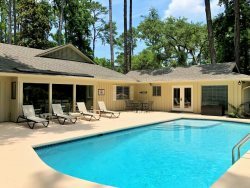 HRG’s full service vacation rental management and marketing program is for the Sea Pines property owner who desires meaningful rental revenue while protecting and enhancing the value of their property. HRG’s long term rental management services are for the Sea Pines property owner who is seeking a steady and hassle free income stream.